Allview, the Romanian number one mobile phone brand, was present this year as well at the world's largest mobile technology fair, the Mobile World Congress in Barcelona. Under the motto "Next level of mobility", the company presented its strategy of tailoring mobile technology to the users’ needs, as well as the top products to enter its portfolio this year. At the end of 2018, the Romanian brand entered the smart TV market with Android TV and integrated Google Assistant, Allview being the only brand in Europe to have signed a contract with Google in this regard. The Allview specialists have developed and integrated the AVI Voice Assistant on Android TVs and presented it for the first time at the Barcelona fair. Also featured at the Allview MWC stand was Viva Home, a 17-inch tablet, perfectly designed to act as a control panel for the user's home and help in various contexts. The highlight of the Romanian brand is the flagship of the new X series, which will feature an amazing full-view display with an excellent ratio between the front and the actual screen. With a 19.5:9 screen, side and upper frames of just 3mm, the new X6 Xtreme flagship extends the visual interaction surface with up to 4% compared to the latest Allview flagship - X5 Pro. The selfie camera features an optimized slide system that allows the camera to move vertically, outside of the display. 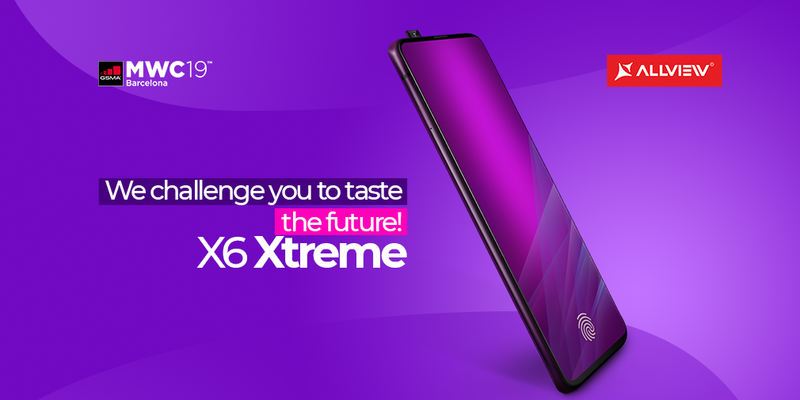 The X6 Xtreme frontal camera is guaranteed for 50,000 uses, while the device features a fingerprint in the display and an AMOLED screen with a superior contrast ratio, well-defined colors, and minimal power consumption. "The Allview X6 Xtreme takes into account the wishes and needs of the user; it’s an ergonomic, 6.39" clean display, uninterrupted by waterdrop notch and has an optimal ratio between the total display size and maximum size for the viewing area. We have looked into several solutions to integrate the frontal camera and chose that the camera will not be part of the display. We are sure that this will prove the solution of the year in terms of selfie cameras", stated Lucian Peticila, Allview CEO. Allview will be soon releasing the X6 Xtreme, at an estimated price of 299€.